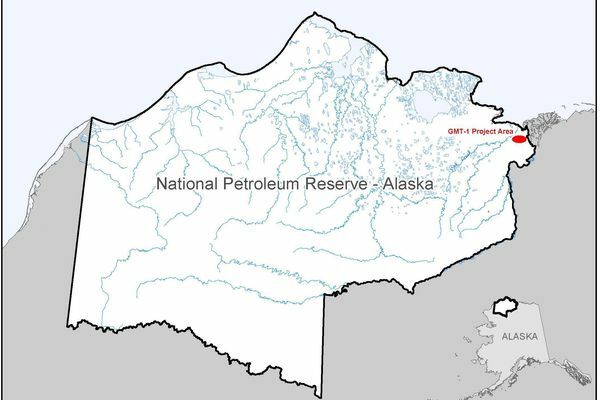 ConocoPhillips Alaska Inc. is planning a two-well exploration program this year at the western end of its Greater Mooses Tooth unit in the National Petroleum Reserve-Alaska. The federal crystal ball presents some stark outcomes for Alaska. In one forecast, Alaska oil and gas production breaks its decades-long decline. In another, each dries up entirely. A proposal to increase east-to-west deliverability across Cook Inlet is revealing some of the potential challenges of consolidating four regional pipelines into a single system. Fairbanks Natural Gas LLC is asking state regulators to approve a long-term liquefied natural gas supply agreement by next summer and dismissed suggestions that a proposed sale of its Point MacKenzie LNG terminal would decrease competition in the Interior natural gas market. With a 2010 settlement reaching its expiration date, small producer Cook Inlet Energy is questioning a proposed rate increase for the 42-mile oil pipeline. In comments filed with the Regulatory Commission of Alaska, Attorney General Craig Richards raised antitrust concerns about the proposed sale, which could give Hilcorp significant influence over the gas market in Fairbanks. A proposal to lower royalty rates for the Nuna project on Alaska's North Slope is the seventh request over the past 18 years; it would be only the third approval. Great Bear Petroleum Operating plans to drill three wells this coming winter to explore for conventional oil resources and learn more about unconventional plays. In two separate but similar projects, ConocoPhillips Alaska Inc. has sanctioned a new drill site and is permitting an appraisal well at opposite ends of the Kuparuk River unit. After holding an auction on Monday, Australian independent Buccaneer Energy is asking a federal bankruptcy court in Texas to approve a sale to Houston-based AIX Energy LLC. The recent termination of the Kachemach unit highlights the challenges in the crowded area between the Kuparuk River and Colville River units, where numerous companies are simultaneously pursuing exploration projects.